“Branding” is a word that gets thrown around a lot these days. 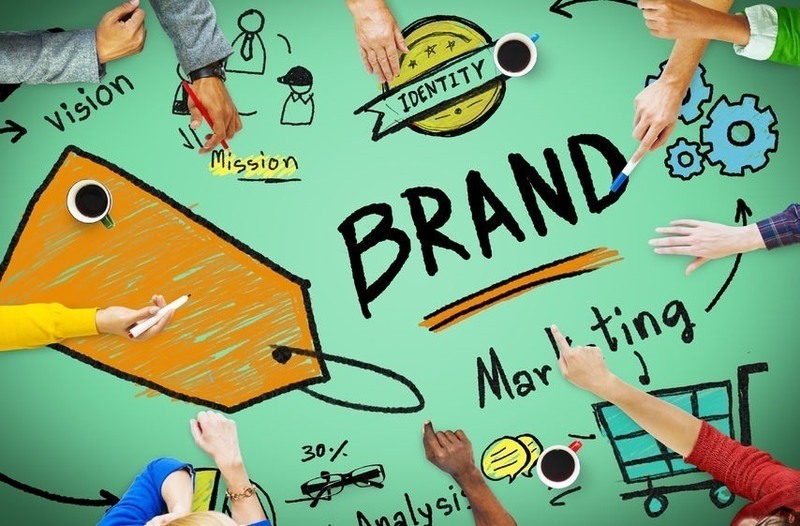 From individuals developing personal brands to professionals tasked with complete makeovers for iconic brands like FedEx, UPS, and KFC (notably all just shortened versions of their former brand names), everyone seems to be developing a branding strategy. For a deep dive, The Immutable Laws of Branding, is a great book by Al & Laura Reis, which I recommend if you have the time to read it. I’ll give you my abridged version below, in 500 words or less, with branding highlights for small and medium business marketing novices. Branding is used to distinguish a product or service and keep it in the mind of a customer. It can be divided into two areas. Brand Identity: An oversimplification of this is what people see and hear – the name, logo, tagline, website, letterhead, business cards, etc. It’s what the brand wants customers to believe about its personality, reputation, and promise. Brand identity differentiates the brand from its competition. Brand Perception: This is what people feel and believe. It depends upon the customer’s brand experience and if it fulfills the brand promise. Your customers control the brand perception, especially now in a social media-driven culture. What does developing a branding strategy mean for a startup, small business or your company? 1. Pick your name, URL, and logo carefully. It’s important to both the brand identity and perception (this from a marketing guy who has twice formed companies in less than 30 minutes because clients needed my company information to initiate payments). There are lots of tools to help do this. 2. Positioning. Create a strategy and stake out a unique position that resonates with your target audience. For example, being the cheapest CPA or Attorney is never a good or sustainable positioning. Someone can always be lower in price. However, specializing in an industry or specific business need very well might be. 3. Focus on the customer. If your mother or brother-in-law doesn’t like your branding, don’t worry about it, unless they are in the primary target audience. For example, my wife (also a communications pro) hates Jack-in-the-Box restaurant’s advertising. But, she is definitely NOT in their target market. I, on the other hand, can easily revert to my immature past and laugh like a 25-year-old every time I see the advertisements, but I’m still not eating Jack in the Box anytime soon. 4. You don’t have to spend a lot to look and act professional. But you need to be smart. Find the free and low-cost options, especially if you are bootstrapping your new brand. Learn what you can do yourself and when it’s time to call in a pro. Note: When you call in a pro, keep in mind that nothing wastes time and money more than giving poor direction and not clearly relating everything back to the strategy, positioning and target audience. 5. Prioritize. When developing a branding strategy, keep in mind that you simply don’t have the time or resources to do everything. Pick the channels, media, programs and offers that make sense for your target audience (e.g. social media is hot, but not all social media channels will be suitable for all audiences). Business to business will be different than business to consumer, and social media use varies by age, gender, daypart and many other demographics. When developing a branding strategy, keep in mind that you simply don’t have the time or resources to do everything. 6. Test and Learn. Be open and willing to try different options. Test things to find out if they will work. When testing, always limit your costs and measure the results, so you can decide if you should allocate more resources or move on. For example, if you spend 5 hours a week creating social media content, but you can never attribute any revenue and have low engagement with social media, maybe spend your time elsewhere. 7. It’s a marathon, not a sprint. If you ever become unhappy with your branding, and more importantly, the brand’s sales results, it can always be finessed, evolved, updated and changed. Sometimes, developing a branding strategy simply costs a little time and money.